What Hard Plastic Carrying Cases Can Protect Equipment? For valuable and sensitive equipment there are three purposes which carrying cases serve. They can be used for displaying items at a trade show or just for transporting. Hard cases for example, can not only be used to present equipment, but also organize and protect it. One of the leading manufacturers in custom, semi-custom, and in-stock hard plastic equipment cases is Western Case. The exterior of hard plastic equipment cases is important for traveling with scientific equipment, tools and products, wireless networking gear, instrumentation, radio and other sensitive equipment. Heavy duty blow molded cases are designed with a high-grade plastic that makes the exterior nearly invulnerable to the rigors of travel. 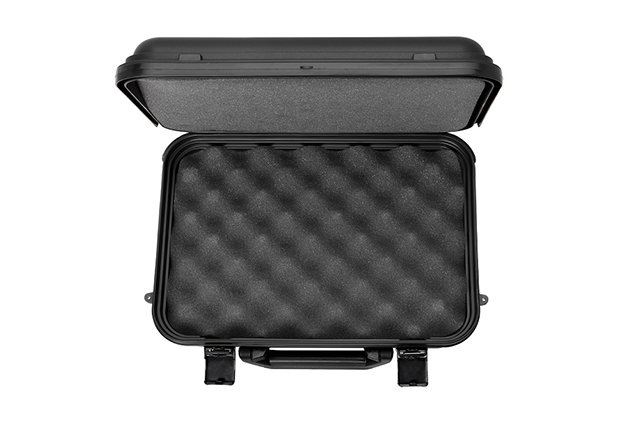 Each of our blow molded cases possess important features making them versatile, reusable, durable and affordable for equipment protection. Some of these features include size variations to fit specific requirements of equipment, patented mechanical hinges and unbreakable latches, a non-slip grainy exterior texture, rugged handles, and a label placing area, enclosed by double-walled construction. Western Case also specializes in medium to small-sized equipment cases which are perfect for tools, cameras, scientific equipment, weight sets and medical equipment. With one of the largest available selection of equipment types covering more than 50 sizes, Western Case is readily available for immediate shipping with custom cut foam inserts guaranteeing secure transport. Medium to large equipment that goes beyond the standard case sizes can be custom fitted by an experienced team of engineers at Western Cases. They can take a concept case design and produce a completed product, guaranteed to meet its required specifications. The specific nature of these designs requires manufacturing that must be custom in order to fit equipment that expand beyond sizes that aren’t standard for a case. To protect equipment such as this, our department of designers can produce a blow molded carrying case to meet its need.